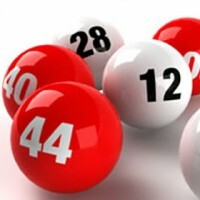 Next draw takes place Tuesday 12/06/2012 in GAA complex at 9.30pm. All welcome. The junior b hurlers lost their opening championship match this evening to a stronger Rapps side in terrible conditions in monageer. Monageer started bright with a great score from Pa Murphy and we went in at half time one point ahead but the Rapps were to strong in the second half and ran out comfortable winners by 4-08 to 1-04. Perhaps if we neet again the score might be different but the Rapps were too good on the day. We hope that the lads can improve from here and qualify for the district semi finals. The Junior Hurlers played Tara Rocks on Friday night in the second round of the championship and lost by 2-15 to 3-08. We possibly could have got more from the game as we conceded two soft goals and missed some chances of our own, but to be fair Tara Rocks were the better team and deserved their victory. Scores: Ed Rowsome 0-04 (0-03 frees), Colm O Loughlin 1-01, Patrick Walsh 1-01, Laurence Murphy 1-01, Damien Fenlon 0-01. The Intermediate hurlers played Davidstown in the second round of the championship and were comfortable winners by 2-16 to 0-11. The damage was done in the first half because we had a 6 point lead at half time, playing against a strong breeze, thanks to goals from Niall O Loughlin and David Breen. Despite winning by such a large margin we didn’t play particularly well but we now have two wins from two games and are top of our group. Our Intermediate team were playing the Shamrocks in Ferns on Saturday in the first round of the championship and came out the winners on a scoreline of 1-14 to 2-09. We started well and went four points to two ahead, but the Shamrocks replied with a goal. Points were exchanged until Stephen Murphy got a well taken goal close to half time to leave the half time score at 1-08 to 1-05. The second half started well with a point from Stephen Murphy, but the Shamrocks responded and looked to be heading for a win when they got their second goal, but with points from Matthew Dunne, Peter Mernagh and Niall O Loughlin we managed to win by two points. Next up is Davidstown next Sunday in Farmleigh at 2pm. Scores: Niall O Loughlin 0-06 frees, Stephen Murphy 1-01, Peter Mernagh 0-02, Matthew Dunne 0-01, Mark Walsh 0-01, Shane Kehoe 0-01, Bertie Gahan 0-01, David Breen 0-01. The Junior team played on Monday against St Martins and they also won, on a scoreline of 1-16 to 1-10. Played in windy conditions we lead by 1-08 to 1-03 at half time thanks to some good scores by Mick Nolan and a goal by Patrick Walsh. The second half started well despite playing against a strong breeze but it was looking bad midway through the second half when St Martins got five points in a row to draw level but our lads showed great spirit, and with two points from Ed Rowsome and one from Damien and Laurence we pulled clear again and won by 6 points. Scores: Ed Rowsome 0-05 (0-03 frees), Patrick Walsh 1-01, Mick Nolan 0-03, Laurence Murphy 0-03, Damien Fenlon 0-02, John O Loughlin 0-01, Liam Gahan 0-01. Well done to our junior u8 hurling team, who had their first outing on Thursday night (3rd May) against the Shamrocks on home turf in Monageer. We had 17 players in action in two separate games, and all players played very well and showed off all their skills which they have been practising in training with coaches Stephen Roe & Jonathan Dunne. Well done to all the boys & girls and training continues next Monday night at 1830hrs. Check out all images from the game under the gallery section of the website. Next draw Tuesday 15th May 2012 in GAA complex. All Welcome. 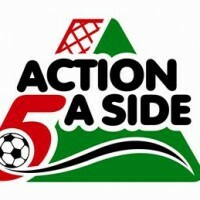 5-a-side soccer tournament on the 26th of May in Clone, Ferns. We are looking for as many teams to participate as possible and the cost per team is €50 (€10 per head). Please have your teams in by Thursday 24th May. We hope to run a male and female competitions, both starting at 1pm. Food and refreshments will be available on the day. Afterwards, there will be a public ‘shaving and waxing’ of anyone in need of a good manicure in the Harrow Bar and Lounge, starting at 9pm. Volunteers and brave souls, see contact details below. Also, a presentation to the winners will happen along with the auctioning of signed Leinster and Munster jerseys. If that wasnt enough we will also be auctioning signed boxing gloves from Katie Taylor and Adam Nolan.